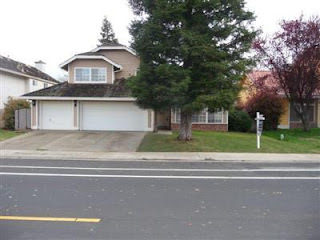 A number of houses on our street in Elk Grove have been listing as short sales lately, and I get the feeling the wheels are being greased on the foreclosure machine. One neighbor of ours just listed their house as a short sale after receiving a Notice of Default last month. Turns out they hadn't made a payment in 30 months! The house originally "sold" in early 2008 for around $300K, and is now pending for under $220K. The real stunner is when I ran older sales for our neighborhood, I found an identical house that sold in 1990 at the height of the previous bubble, for, you guessed it, $220K! That's 21 years with negative appreciation!